Of all the five senses, whales, dolphins and seals are known to rely primarily on their keen hearing to find food, detect threats and communicate with others of their kind underwater. But as new research shows, this specialized ability is not unique to marine mammals. A recent study by the University of Southern Denmark found that the greater cormorant can hear underwater — the first time researchers have documented the ability in a marine bird. Even more surprising, according to marine biologist and study co-author Kirstin Anderson Hansen, is that the birds can hear sounds at a frequency between one and four kilohertz — the same range as cetaceans. 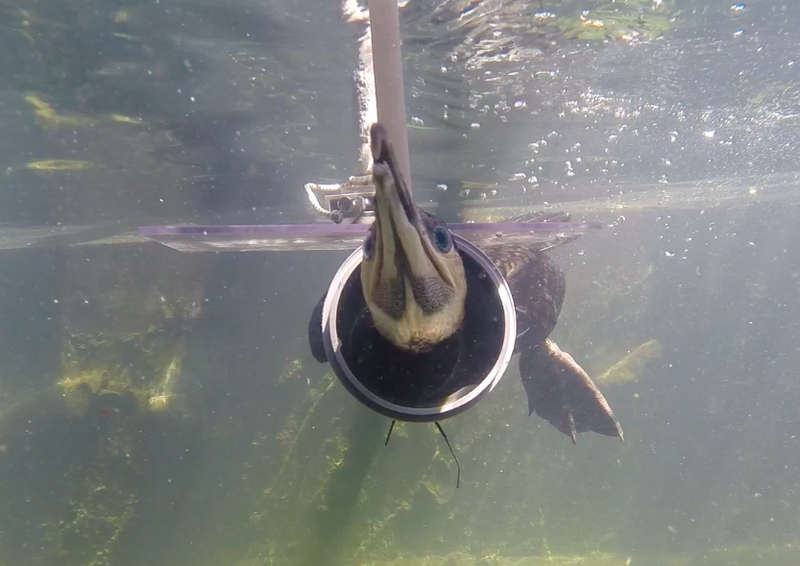 Hansen and her colleagues tested the underwater hearing range of the greater cormorant with the help of Loke, one of two greater cormorants living at USD's marine biology station. In a laboratory, Loke was encouraged to swim underwater, where he was exposed to various tones and trained to tap a red button with his beak when he heard a sound. By adjusting the intensity of the sounds, Hansen was able to determine the bird's hearing range. Their findings could have significant implications for the conservation of marine birds. Noise pollution created by naval sonar, shipping, and industrial activity masks the natural sounds of the underwater environment, which marine animals use to source food, find mates, and navigate the expanse of the open ocean. Greater cormorants like Loke spend a large portion of their time diving in shallow water in search of food; noise pollution may reduce their efficiency on these dives by making it more difficult for them to hone in on their prey. Hansen and her colleagues have begun preparations to study other Arctic and Antarctic marine birds, such as the common murre and some species of penguin.